The idea of streaming such graphically-rich content that requires near-instant interaction between the game controller and the graphics on the screen poses a number of challenges. When streaming TV or movies, consumers are comfortable with a few seconds of buffering at the start, but streaming high-quality games requires latency measured in milliseconds, with no graphic degradation. The technology and creativity behind these AAA video games is extraordinary—from incredible detail and life-like movement of the characters’ skin, clothing, and hair, to the massive scale of the world in which the game unfolds, down to every last blade of grass. Every pixel is powered by an array of real-time rendering technology, artistry, visual effects, animation, simulation, physics and dynamics. We’re inspired by the game creators who spend years crafting these amazing worlds, adventures and experiences, and we’re building technology that we hope will support and empower that creativity. 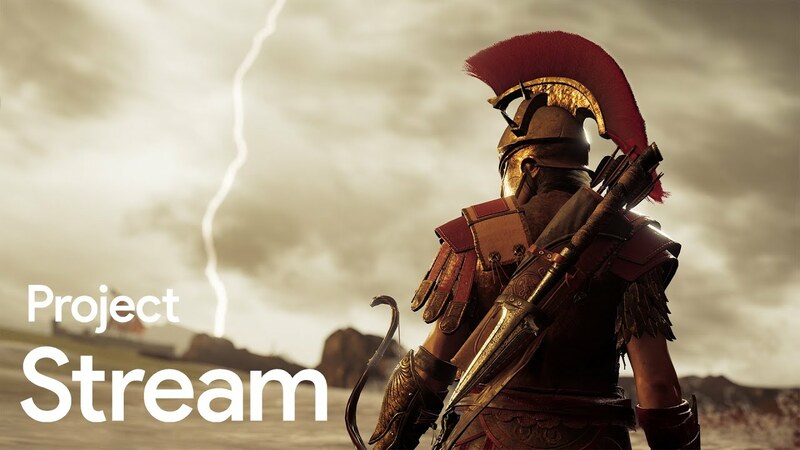 There are limited spaces available for Project Stream, but if you’re interested in participating, you can apply on our website. Project Stream is geared toward home internet connections capable of 25 megabits per second, and you must be 17 years or older and live in the U.S. to participate (other requirements can be found on the help center). We’re looking forward to what the future of streaming holds, and feedback from those participating in Project Stream. Thank you for helping us bring streaming to the next level.